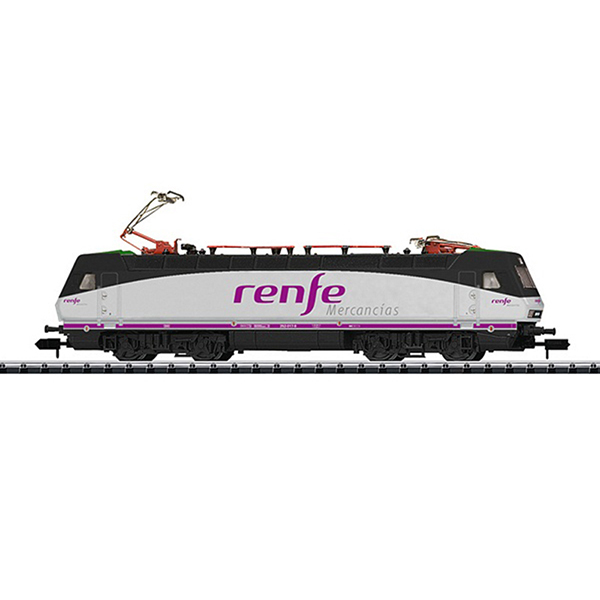 Prototype: Red Nacional de los Ferrocarriles Españoles (renfe) / Spanish State Railways class 252. B-B wheel arrangement. Built in 1992. Use: Passenger and freight trains. Model: The locomotive has a digital interface connector. It also has a motor with 2 flywheels. The locomotive body is constructed of die-cast metal. 4 axles powered. Traction tires. Length over the buffers 122 mm / 4-13/16".